After many years of experience with short boards and different bags we created our made our model fulfilling the highest quality standards for reasonable price. 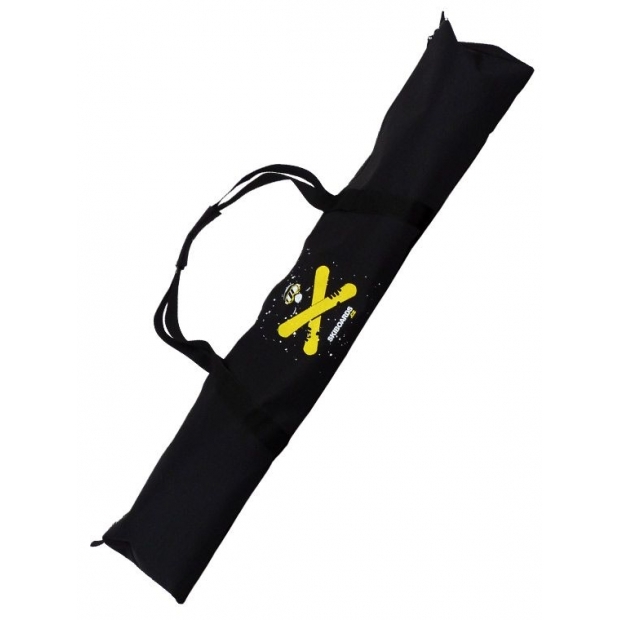 We entrusted the manufacturing to proven producer of biathlon weapon bags and nordic ski bags. Both sides printed bag is made of a waterproof material. We used sturdy fastener with big slider. Bag is equipped with two inside Velcro fasteners for bracing the skis together. The bag dimension allows safe transportation of 1-2 pairs of skiboards shorter than 110cm (one pair with bindings and second pair without). Straps allow carrying like handbag.